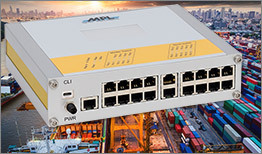 The µMAGBES Family is a 10-28 port manageable Gigabit Ethernet switch of the 4th generation of MPL switches. The robust design, low power consumption, and the various mechanical configurations make the switch ideally suited for any application that needs a rugged and reliable solution. Besides manageable features such as Quality of Service, Port Based VLAN, and IEEE 802.1Q VLAN, the µMAGBES also supports Rapid Spanning Tree IEEE 802.1D 2004 and allows to use redundant Ethernet connections without introducing network loops. All ports have status LEDs, indicating the activity and speed of each port, and can also be accessed remote, same applies for reset and default setting. 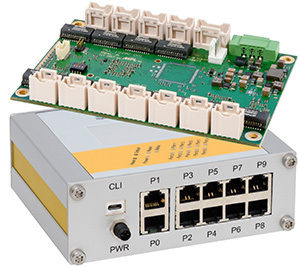 The µMAGBES solution is extremely compact and in addition, it can be used in a boxed version with RJ45 or M12 connectors, as board equipped with lockable headers, or as open frame version on a cooling plate. Even a MIL housing with MIL 38999 connectors of your choice. 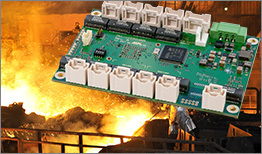 Supply power is 5-36VDC and uses under any condition less than 6W (10-ports). The product can be operated at -20°C to 60°C and optionally even in extended temperature. 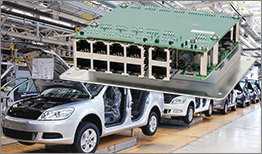 These features make the µMAGBES switch ideally suited for any rugged or industrial network application. Due to the low power consumption, robust and flexible design, the product is well suited for industries like Railways, Maritime, or Defense. The µMAGBES makes it easy to set up a challenging network!